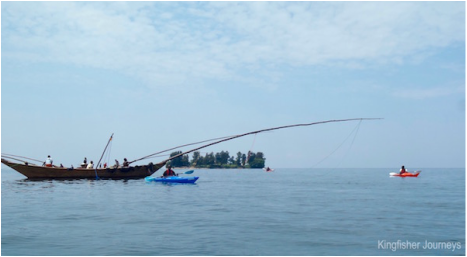 Something very special is taking place on the clear, blue waters of Lake Kivu. 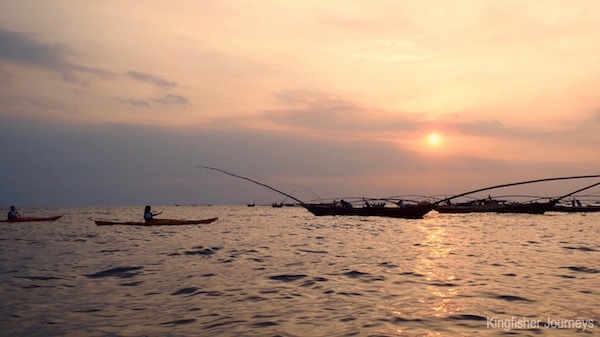 As sunset approaches, hundreds of extraordinary, three-hulled fishing boats leave villages all along Rwanda’s shores and become slowly silhouetted against the darkening sky. And listen carefully. In the calm of the evening the fishermen paddle out with remarkable agility and speed, because, working in unison, they sing rhythmically to time their paddle strokes and give encouragement to each other. 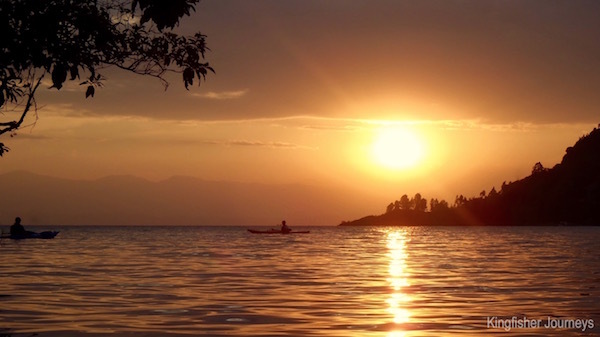 Kingfisher Journeys kayaks unobtrusively join these fishermen, silently paddling out onto Lake Kivu to see and – especially hear – their crews as well as catching the sunset itself. 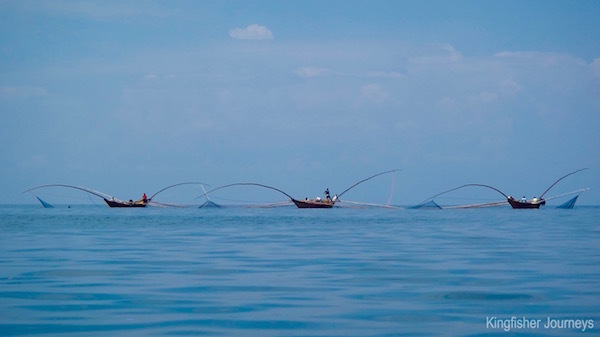 This is a remarkable experience because only when you’re on the water can you closely approach, watch the fishermen paddling and really appreciate this amazing spectacle. Watching in silence from a kayak is the best and most unobtrusive way to experience this spectacular event. "Sunset at the lake with the fishermen was a lifetime experience!" If booked on a multi-day journey we will attempt to include this activity on one evening along the way but if this is not possible, we will do our best to include it at the end.